The Chevrolet Corvette was the first American sports car. The model has managed to evolve over the decades, and take root in the minds of lovers of this icon of automobile history. Its value climbs each year and sometimes far exceeds estimates. Collectors from around the world are in search of the model that will make them quiver, and it's one of the most dynamic and sought-after markets. Importing a Corvette from its original source is probably the best solution in order to have the widest selection, since there can be many model year, version, and finish options. It is possible to get very good deal at affordable prices, just as it is possible to get your hands on a rare piece worthy of the finest collections. The purchase price of a collectible Chevy Corvette is influenced by many factors. Firstly, the year; the first generations are becoming almost untouchable for everyday collectors, and they lower their sights, usually by preference, to the second and third generations. For example, a Corvette C1 Roadster, in good condition, is hard to find below €75K, while a Corvette C2 StingRay can rarely be found for less than €45K. 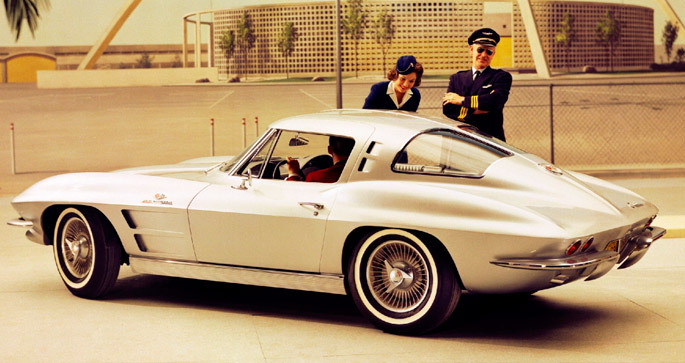 The Corvette C3 version dating to the late 1960s. is also starting to see its prices climb. However, it is possible to get your hands on a third generation Corvette within a budget of less than €25K. It all depends on the desired engine and transmission, with a big block, and matching numbers even more so, will have a tendency to drastically raise the price. The C3 from 1968 to 1970 wins hands down. Its lines, inspiring the pencils of today's designers make it a must-have, with an unparalleled price/investment/pleasure ratio. To import a Corvette under the best possible conditions, it is usually a good idea to use a professional specializing in collectible American cars. Knowing each model and such a rich market means accessing the best offers first. In fact, since they are highly awaited and monitored, the best deals rarely last long. Constant monitoring and unwaivering responsiveness are essential when you want to get a good deal. The Chevrolet Corvette is celebrating its sixtieth birthday. The adventure does not appear ready to end, for this symbol known to everyone. Many collectible Corvettes are bought and sold each day. Each model has excellent potential for a short, medium, or long-term investment. Even today, it is very easy to get replacement parts and accessories for every generation of Corvette. Even the famous 350 cubic inch small block, generating 290 horsepower, is still sold by Chevrolet. Don't hesitate to ask our specialists about purchasing a Chevrolet Corvette under the best possible conditions. You can be sure that our team will proudly defend your interests, in order to successfully conclude your plans to import a Corvette. For many years, we have been building a network of effective, efficient partners and have met with a large number of sellers of collectible American cars specializing in the Chevrolet Corvette. From negotiations to delivery, from ground transport to customs formalities, our logistics specialists will support you throughout the process of importing your Corvette.